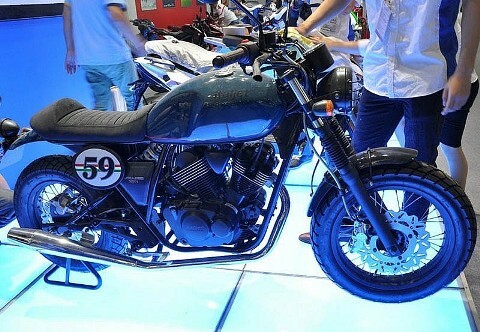 The Italian brand was present in the hall of Guangzhou (China), where they presented a motorcycle with neo-retro air with which aspires to succeed in the oriental market, one of the emerging worlds. Although it is curious, not all the news in the bike market in the main halls of the planet. Quotations such as Cologne and Milan become capital of the bike every year for major brands, but are not the only, and can always sneak bombs somewhere in the universe. One of the last cases we have seen in China, specifically in the city of Guangzhou, where the lounge of the bike of this city took place, and where attendees could see the latest developments in his country in the world of two wheels. Among all bikes that could be seen, surprised to see a Italjet, namely the Buccaneer 250i, sure sign of intentions that has the Italian brand in this country. This example serves to demonstrate once again the interest of the Asian giant erected as an emerging market for motorcycles. The presence of the Buccaneer in the Chinese city confirms the agreement that seems to exist between the Italian brand with this country to revitalize its production. If confirmed, it would mark the first Italian absorbed by a Chinese company, as in the case of Benelli. With respect to the motorcycle itself, it is a V twin engine of 250 cc, and most optimistic as it could reach a power of 25CV. With a fairly simple design, greatly extols the cafe-racer spirit, so fashionable lately since the arrival of the new Ducati Scrambler. No doubt great news for a brand like Italjet that China seems to have found the perfect market to continue creating and delighting its followers. A collaboration officially confirmed would be great for both parties, since in Asia bikes are increasingly more followers, and the business is there.